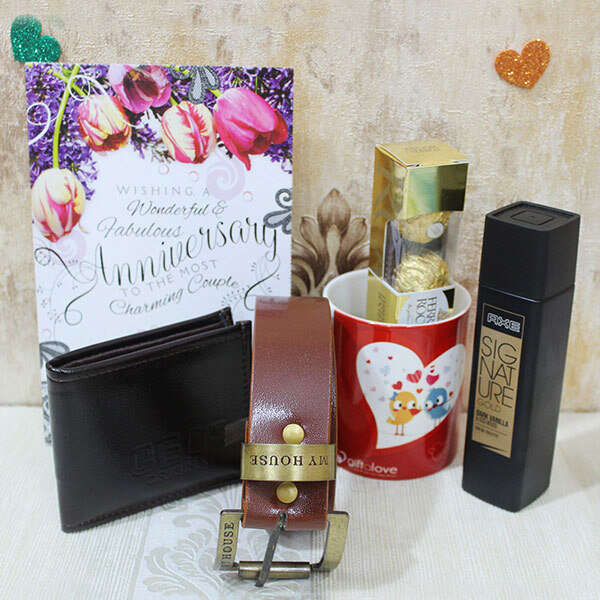 Greet the lovely couple on their anniversary this year with this attractive gift hamper that is inclusive of everything to convey your hearty wishes, something purposeful to use and yummy chocolates to relish for both. 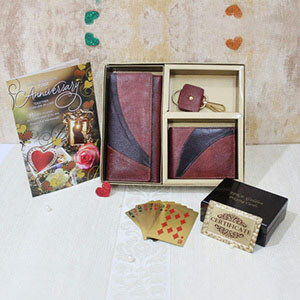 Find it perfect to gift and greet the couple. Extremely useful products in the hamper. Delivery was a day late, otherwise rest is fine.